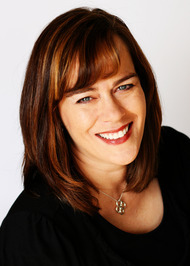 Heather B. Moore is a four-time USA Today bestseller and award-winning author of more than fifty publications. Her historical novels are set in Ancient Arabia and Mesoamerica. She’s not old and doesn’t remember the time period, so Google has become a great friend. Although she spent several years living in the Middle East, she prefers to forget the smells. Heather writes historicals and thrillers under H.B. Moore. She also writes women’s fiction, romance, and inspirational non-fiction under Heather B. Moore, including The Newport Ladies Book Club, and the Amazon bestselling Timeless Romance Anthologies. Heather’s USA Today bestselling titles include Heart of the Ocean, Mail Order Bride, Mistress Grim, and Poetic Justice. Heather also writes Young Adult speculative under pen name Jane Redd, which includes the Solstice series. Foreign publications include Das Grab der Konigin (Germany), Drommen om lykke (Norway), and Sommer og kjaerlighet (Norway). One of the most inspirational books I’ve read is Kitchen Privileges by Mary Higgins Clark. I’ve long been a mystery fan and when I read this memoir, I realized that it was possible to be a writer and a mother at the same time. Ms. Clark inspired me when she said she’d write from 5:00-7:00 a.m. every morning so as not to interfere with her job and her kids (she was a widow at the time). I thought, “I can do that.” And I did—it took three novels before I finally got one published, but Clark’s story inspired me not to give up. Visit my tell-all blog post for all the crazy details of the first time I hit the USA Today bestselling list. This really touched me as I think about my writing and my goals in life—how to get there and how to overcome obstacles that stand in the way.